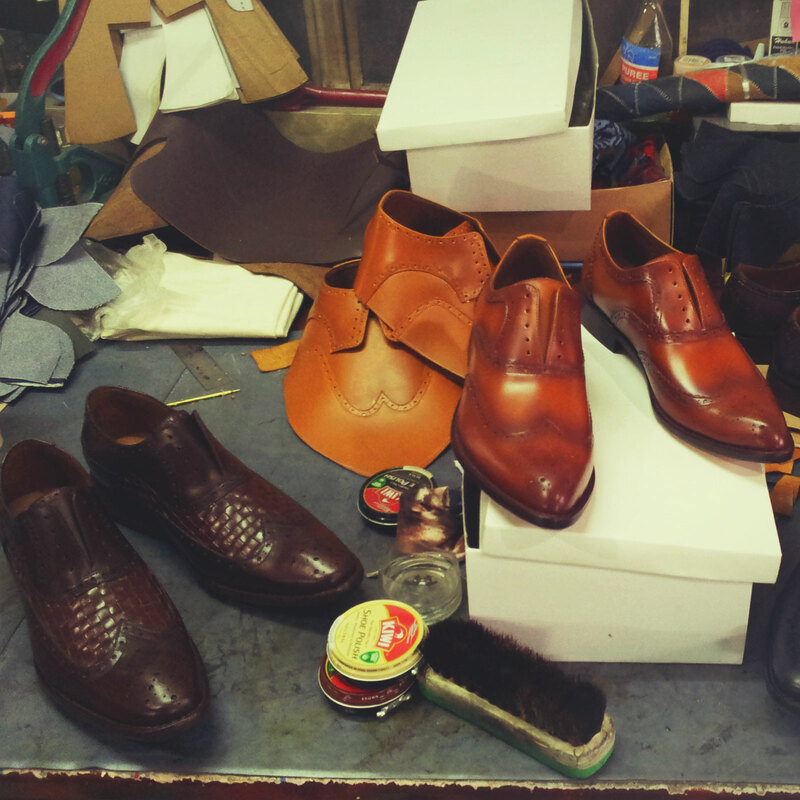 After meeting him in his shop, I commissioned Buddy to a couple of shoes including my very first pair of brogue shoes. The blog is, afterall, called Berto in Brogues; so what’s a Berto without his Brogues? I asked him to go crazy with the design giving him full creative liberty to create something he has never done before. I asked Buddy to make me a pair that he felt represented my personality, my mission and my cause. I asked him to make something he felt was uniquely Filipino and that would best represent the world-class talent of our craftsmen. Most importantly, I asked Buddy to make something he was truly truly proud of. The result took my breath away. It is my absolute honor to premiere what Buddy Tan fondly calls “The Works” here on Berto In Brogues. 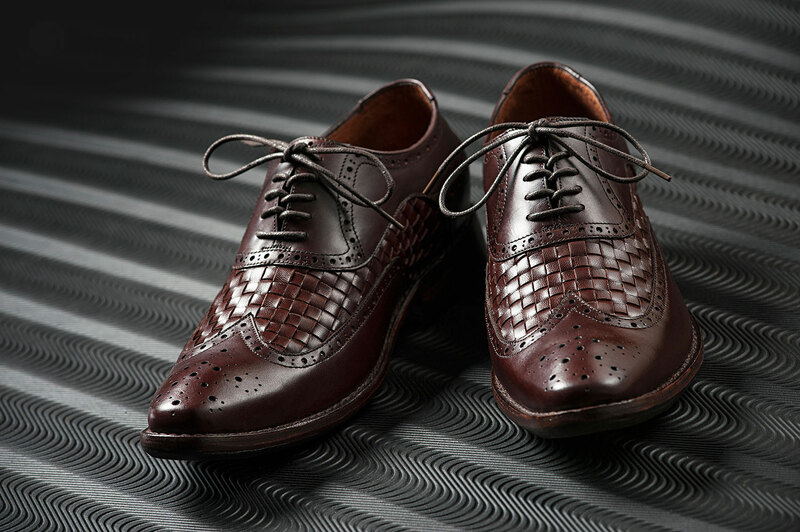 Between juggling fatherhood, a beautiful home, an established sandal-making shop and his new passion project Black Wing Shoes; it was a pleasant surprise that he found the time to answer some questions I had about his work and this pair in particular. There is nothing like an artist’s process, and Buddy tells us why. When you gave me free reign on what to make for you I started conceptualizing a wingtip for the modern Filipino man. Since most designs now are copied from European designs, I wanted to create a design that embodies somewhat the heritage of the Filipino shoemaker and to represent what the modern Filipino should be. 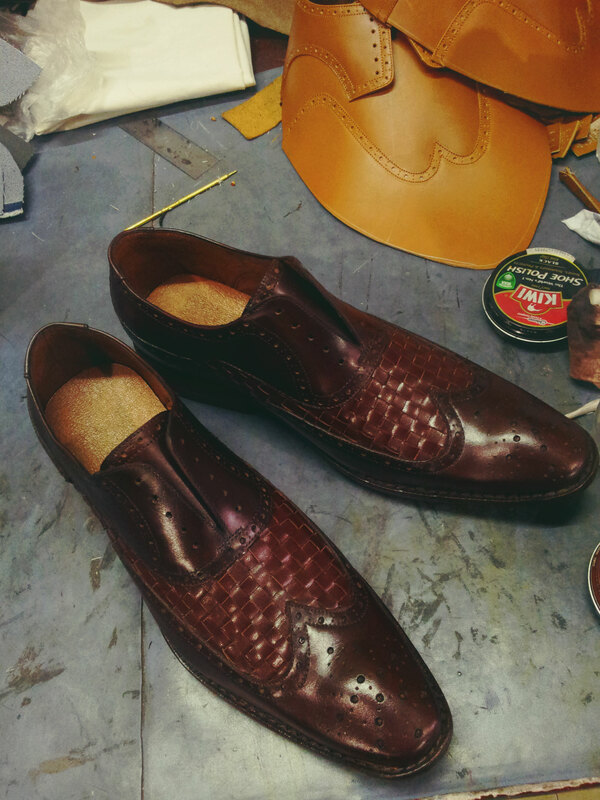 A signature style here in Marikina which is often avoided by other shoemakers is the “lala” or woven style. 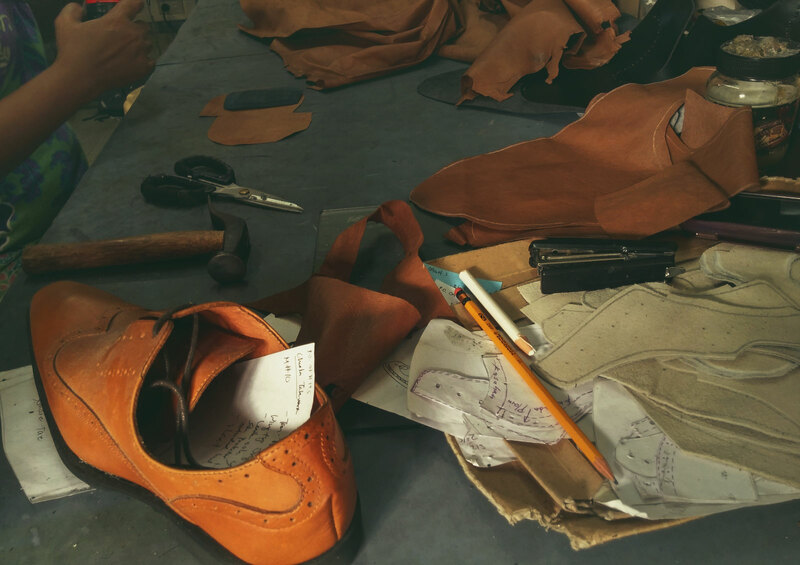 It is a time consuming and leather hungry process and is best used for one-off pieces such as the works.I decided to incorporate that process into the shoe for it shows how we can create beautiful things if we just focus and spend time realising it. I wanted The Works to represent the modern Filipino gentleman. 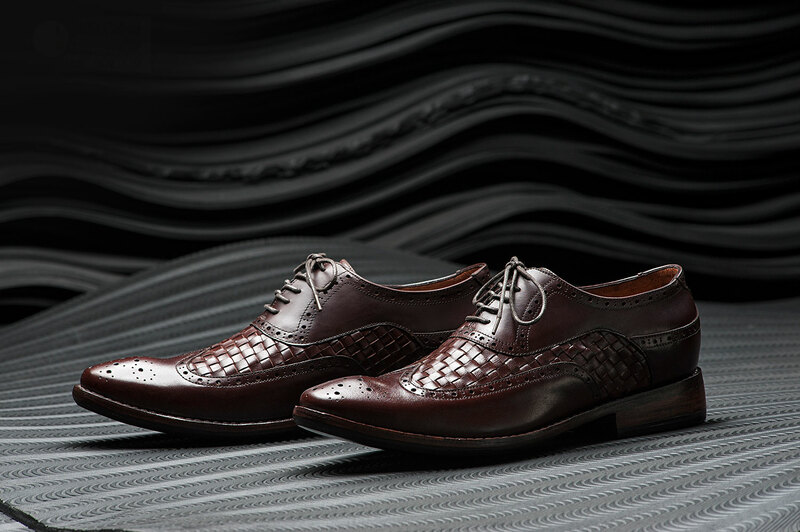 A mix of culture and style learned from the west represented by the brogue wingtip design; a modern and efficient construction process for the upper while maitaining the quality which can only be achieved via the handcrafted process when we customized the shoe last and machine welted the upper to the outsole; the focus and diligence which is required to finish achieve an end result represented by the “lala” detailing. 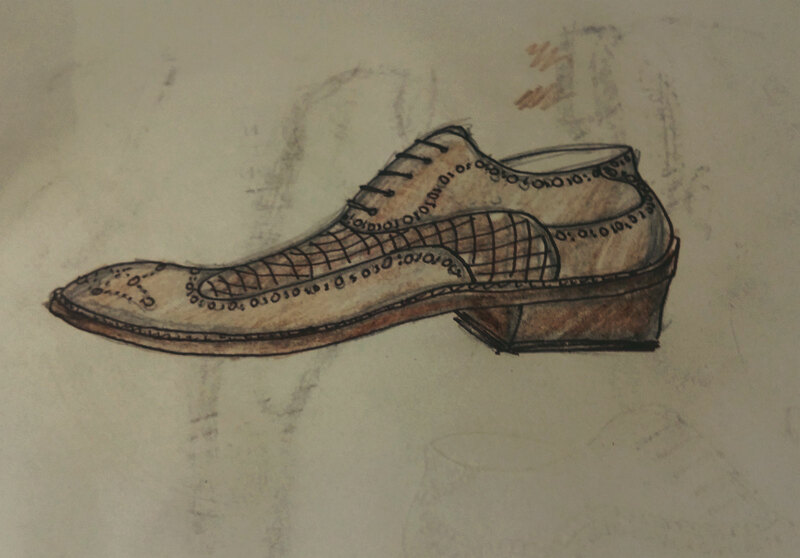 Local materials were favored but then we also had to make use of several imported components to complete the concept of making this modern Filipino shoe. As we used mostly local and readily available materials, we were able to keep costs down. We at Black Wing believe that the modern Filipino should have access to quality crafted shoes thus we try to keep our prices low by using materials available to the local market. We just have to level up on our craft in order to make the ordinary look extraordinary. Almost all components were crafted from scratch to show the patience and diligence in our work which should be present in all the works of the modern Filipino. I’m really happy that a lot of people like the shoe. It is actually really inspiring that there is still a huge support for locally crafted goods. Hopefully our business model will inspire other enthusiasts to create businesses which are focused more on providing quality and personalized customer service with passion to innovate while keeping the tradition alive. The support and appreciation from clients that we garner will fuel us to create more designs and unique builds. I owe to all past clients who supported me as I was starting to continously strive to create a better quality shoe for future projects. This is one of those original designs wherein I had to think of showcasing design, workmanship, material combinations, new features which weren’t present in my older creations. Plus is was made on our newly developed i0914 last which took me almost two (2) months to develop. This is one of the few original Black Wing designs as well since a lot of clients already have an idea of what they want for their shoes which are mostly from American and English brands such as Church’s and Cole Haan. Of course! I will make you another custom original BlackWing design based on your suit/tux/barong design with something that am contemplating on implementing in the near future but am putting off since it will take me time to make it. Watch out for it! Suffice to say, these shoes feel and wear great. I have used my Chukkas on a daily basis, and my whole-cut black brogues more than once already. As for The Works, after fitting them, I’ve yet to pick the occasion which deserves their attendance. So now, they are publicly displayed in my pad for my selfish admiration. Buddy tells me that they need to be worn soon, to fulfil their beauty and purpose. I think more than anything it is Buddy’s constant pursuit for knowledge and quality that keeps his works elevated and his feet grounded. His thorough love for craft, deep understanding of history, and clear view of a horizon paves the way for a truly bright future for Black Wing Shoes and possibly even for the Marikina shoe industry as a whole. I might be expecting too much too early, or even counting the chicken before they hatch, but one thing is for sure- it is the honest, passionate, fair and innovative businessmen like Buddy that makes me so proud to #SupportLocal.